It is no secret that when you are a parent you are going to want the very best for your children. This not only applies to their childhood, but also for the rest of our lives. We all know that those years spent at school lay the foundations for their future careers and perhaps even lives, so, we are going to want to ensure that our children have the very best education possible. Of course, this will mainly come from the schools that they attend, however, there is more that you can do if you want to make sure that your child has the best education that is available and open to them. Tutors are one option to consider. The reason why parents may approach a tutor does vary, and it really will depend on the child. 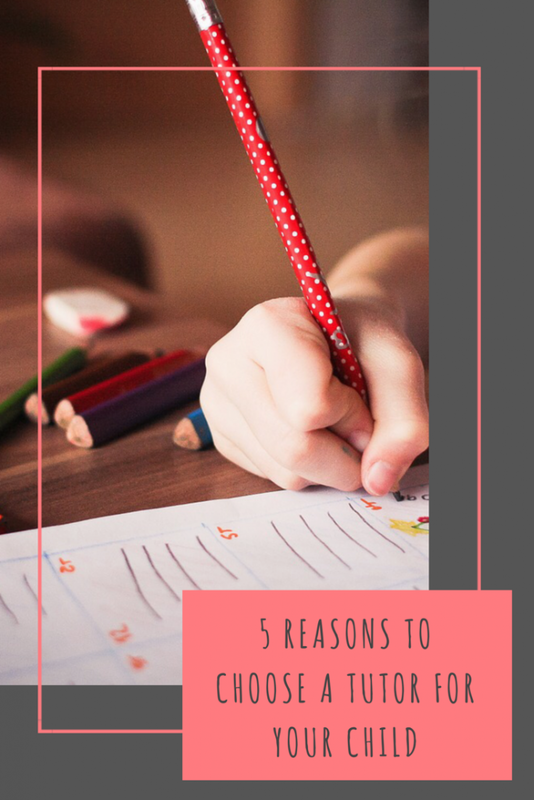 To learn more, James Goldsmith from 11plustutorsinessex.co.uk has put together the reasons why parents might approach tutors for their children. If you are thinking about sending your child to a grammar school, then they will need to sit their 11+ exams, these exams are designed to test the child and ensure that they secure a place at their chosen grammar school. 11+ exams are known to be hard to pass, however, you can make them that little bit easier by considering hiring a tutor. A tutor has knowledge across a number of subjects and can help them to revise and prepare for the type of exam questions that are likely to be asked. A tutor will also be able to offer advice for your child to use when they are sitting their exams. It is true that education varies for each and every child. Whilst some children may find a subject easy to master, another may struggle with it. If your child is falling behind with a particular subject, then you may be worried that they could end up way behind the rest of the children in their class. A tutor can take the subject that your child is finding hard and work with them to improve on it, hopefully bringing them up to a level with the rest of their class. Whilst some children see a tutor because they are finding some subjects hard and need the extra support, some children see a tutor because they are excelling and they need some extra challenges in their education. A tutor will take into account your child’s level at the necessary subjects and tailor their learning plan to match this. This means, if they are excelling, then they can try some work that is harder and more of a challenge, allowing them to grow their education and themselves. Classes in schools are much bigger than they used to be, in fact, the average now is 30. With 30 children to one teacher in most schools, there is a good chance that some children are going to blur into the background and won’t receive a personal experience. WIth a tutor, however, your child is worked with on a one-to-one basis, which means that they will have an education that is going to work for them, that is going to be personal and that is going to be exactly what they need to get ahead. No matter their learning style. We all want to make sure that our children have the best education possible, which means that we look at ways to make things better. A tutor is someone who is going to work with your child, taking into account their strengths and weaknesses. Which is only going to improve their education and make it the best experience possible. I had a tutor for trigonometry in maths in senior school, it was the one part of maths I really didn’t get and having the extra attention from a tutor meant I finally learnt it, even if it was weeks after everyone else! I think tutors can be an amazing tool for kids, for so many reasons. Children all learn differently and having that 1 2 1 interaction can really make a difference. I agree with all these points, when I was young I had a tutor in high school. I found myself good at some subjects and not all, my personal tutor helped me with those. Tutors are an amazing tool for your childrens education, especially for the 1 to 1 personalised experience that a classroom just can’t give. I’ve never actually thought about getting a tutor for my children. Although, it does seem like a great idea… particularly in the years leading up to GCSE time.